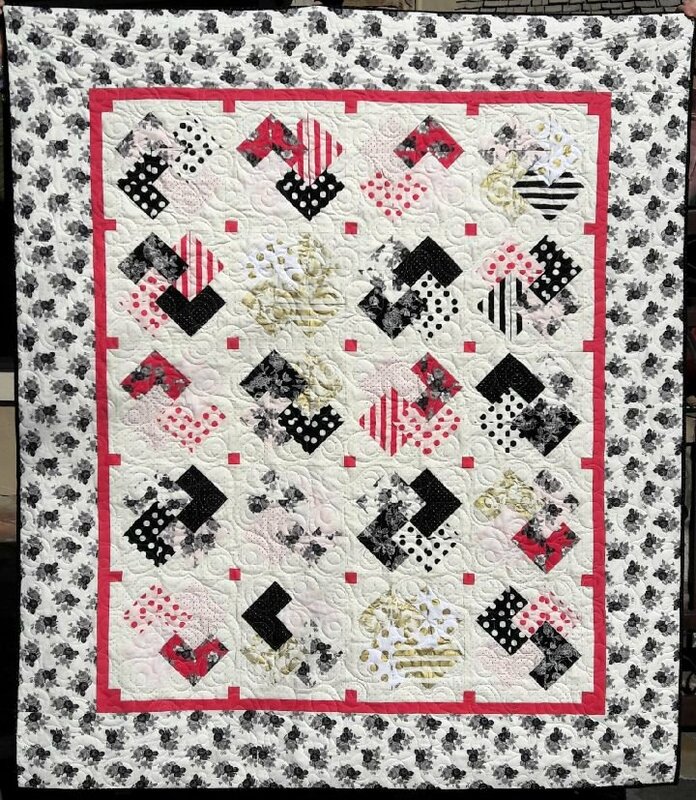 This fun quilt is made using fabrics from the Riley Blake line Diamond Rose. Kit includes: pattern, and fabric to complete the top of the quilt and binding fabric. Finished size is approximately 57" x 67".